Linemaster Switch Corporation has been the leading manufacturer of foot controls in the world since opening its doors in 1952. The facility, which resides in Woodstock, CT, has been the location from which over a million foot switches are manufactured and shipped yearly. 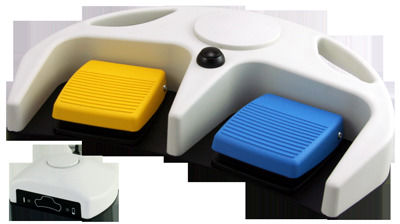 Linemaster’s primary function is to design and manufacture custom and standard foot controls per the specifications of our customer. 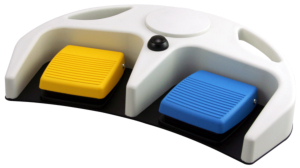 The changing needs of the customer have taken Linemaster to new levels of technological advancement, furthermore solidifying the top position in the foot switch market. 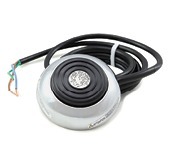 New technology and a commitment to continuous improvement have attracted the majority of the major medical device manufacturers to use Linemaster’s medical grade foot switches. Linemaster has gone through the efforts of obtaining all major certifications including ISO 13485, IEC, UL, CE, CSA, RoHS, FCC. Obtaining these agency approvals was a necessary step in making Linemaster the reliable company that it is today. The Linemaster name continues to grow in the Medical Market. 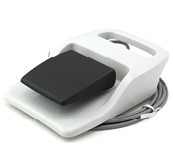 The release of the RF Wireless foot control systems have given the end user a cordless option that will save them time cleaning, while eliminating the tripping hazard. 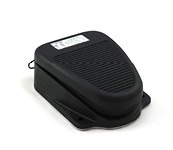 The wireless systems are just one example of Linemaster’s innovative foot control portfolio; also offered are a wide range of USB, Linear Hall Effect, Electric, Air Powered, and variable speed switches. Recent facility expansion, knowledgeable employees, and automated test equipment have contributed in making Linemaster the most recognizable name in the medical foot switch world. 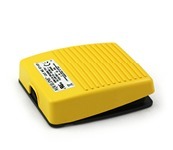 Linemaster specializes in custom foot controls that are OR safe and very reliable in critical application cases. 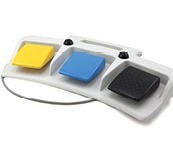 Linemaster’s common practice is to follow all medical standards pertaining to foot controls. 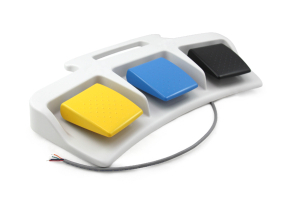 Such standards as patient isolation, magnetic immunity, appealing aesthetics, and cleaning requirements are just a few of Linemaster’s foot switch design considerations to ensure a medically safe user interface. Linemaster continues to grow while remaining faithful to its original small company focus of customer service, quality, and integrity as well as having a direct sales force that is just a call away. 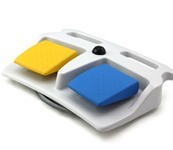 Linemaster will continue to strive for excellence in providing our customers a proven medical grade foot control.